All very important discoveries made by humanity. Beer Koozies are exceptionally important because NO ONE likes a warm beer. Imagine, you’re in the sun all day. You start breaking a sweat. What would be the most refreshing thing right now? An ice cold beer, of course! That warmer-than-room-temperature beverage just ruined your day. That is… Until the Beer Koozie came along. This magical device has helped keep beers cool for decades now. But what are these magical creations made of? Why do they even exist? Think of your home. You need a layer of insulation to keep the outdoor elements out and keep the internal temperature where you want it. A Beer Koozie functions the same way! 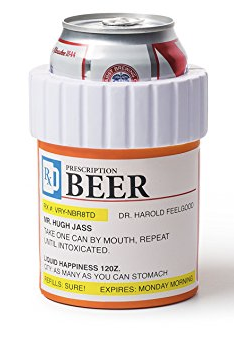 The magical part of the Beer Koozie is that the material is light weight enough to be easily carried around for an afternoon but also act as an insulator. 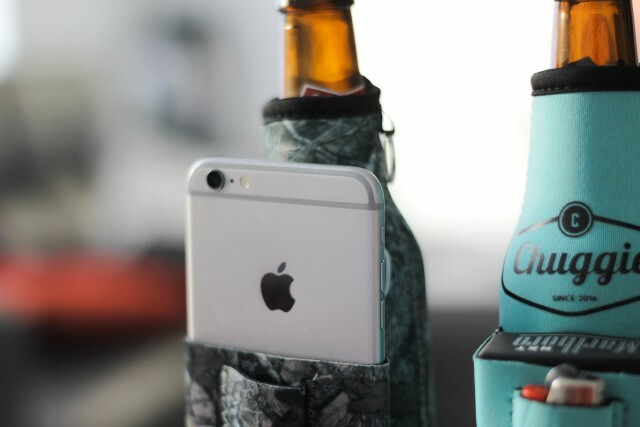 So, what are Beer Koozies made of? Neoprene is a synthetic rubber-like compound. 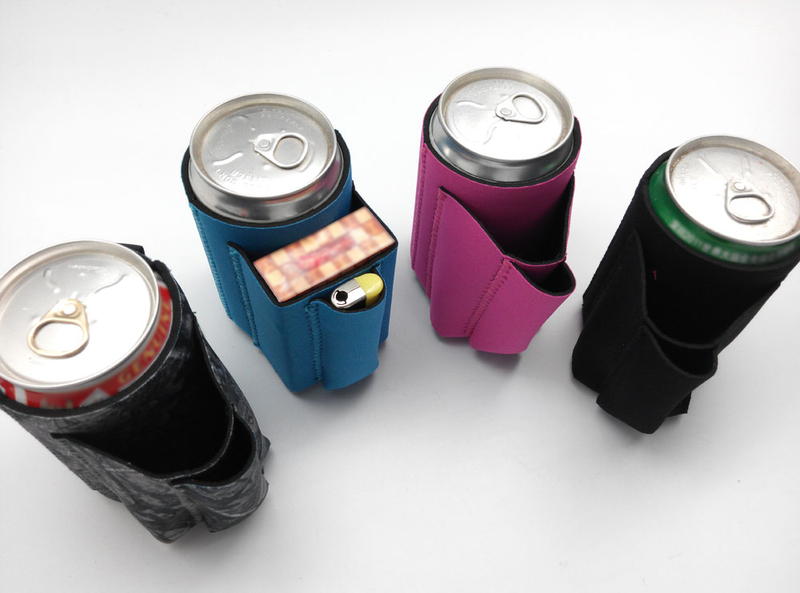 Neoprene is perfect for a Beer Koozie because it is not only lightweight but also resistant to heat. In fact, Neoprene is also used in Scuba Suits to keep you warm when you dive! Easy to see why Neoprene was the solution to this problem! 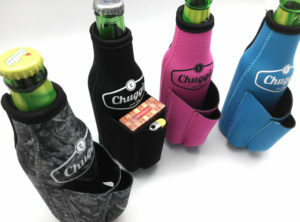 We at Chuggie are champions in beer comfort innovation. 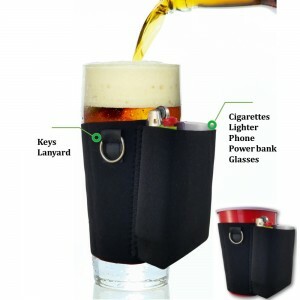 That’s why we created the Beer Koozie that holds your cigarettes and lighter. 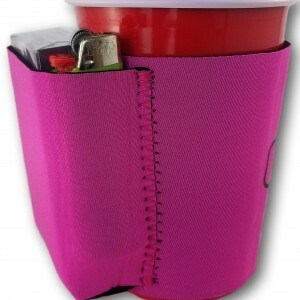 Now you no longer have to worry about losing your cigarettes, lighter, or keys while you party! 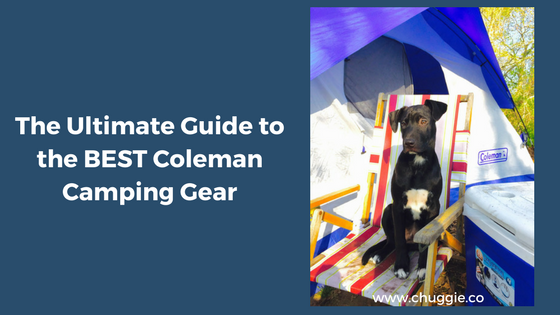 If you want to check out the Chuggie, you can click here. A beer growler is a glass, ceramic, or stainless steel jug used to transport draft beer. They are commonly sold at breweries and brewpubs as a means to sell take-out craft beer. Rarely, beers are bottled in growlers for retail sale. This is the most popular type of growler, and the cheapest one. Our top choice is the 2 Liter Amber Growler with metal handle. We do recommend an amber growler as it will prevent damage to your beer from UV rays or sun exposure. The see-through characteristic of glass growlers makes the process of filling easier and you can always see how much you have left when you drink, plus our best choice has a convenient handle. However, you should take into account that these are fragile compared to the next type of growlers. Stainless Steel growlers will keep your beer colder for longer periods of time and will endure adverse circumstances such as drops, sun, UV rays, temperature, among others. If you are planning to get a growler for camping, hiking, hunting, or out for a party our choice is the Stanley Vacuum Insulated Growler. This growler maintains beer cold for 24 hours! If you are a beer pro and would like a Stainless Steel Growler that will keep your beer carbonated for 2 weeks, with variable pressure regulation, and easy dispensing definitively you should go with the uKeg 64 Pressurized Growler. It is worth the money if you are serious about your craft beer and should last a lifetime! Ceramic growlers are more difficult to find, and therefore more expensive than a regular growler. Additionally, they tend to be heavier and prone to break, if you decide to go for a ceramic growler bear in mind that it will be harder to clean and carry around. On the other hand, you will have a piece of art in your hands if you get the Ceramic Stoneware Weatherworn Cannonball Beer Growler – 64 oz. Not ready for brewing your own beer yet? 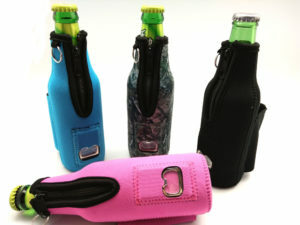 Check out our beer coolies for cans or bottles. Both available on Amazon.com and Amazon.ca. 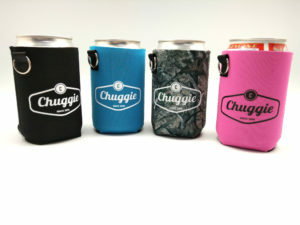 The Best Coolies Around are at Chuggie Co.
There’s no doubt in our minds that we’ve got the best coolies on the market. 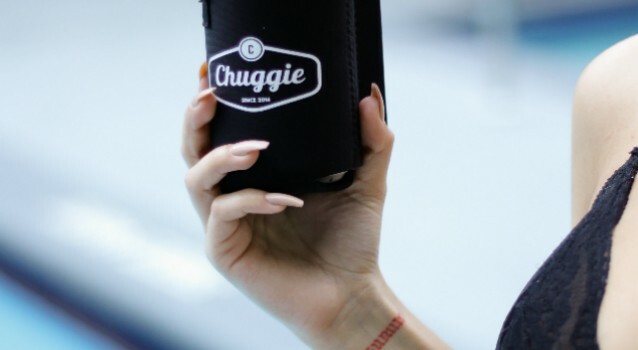 Chuggie Co.’s product line is made to keep your beverage cold and your hands comfortable. Our soft to the touch coolies are made with durable, 3mm neoprene, yet are so flexible in shape that you can throw a few in your glove box on the way to the next party or in your back pocket before you hit up your friend’s barbecue. Once you take our coolies out for a spin, you will see why they are the best coolies around. We’ve engineered them for efficiency and, sure, we’ve heard that they are less than sophisticated, but we like to think that we have got the best coolies because they are so damn resourceful. Gaze in wonder at our product, knowing that you won’t need to worry about having full hands again; our coolie comes with two pockets made to keep their cigarettes, lighter, cell phone, or ID in one place. Part of the appeal of these game-changing coolie is that you will be hearing all sorts of things from your obviously very jealous friends. So buy a few to share with your friends and get ready to hear some of the following reactions about these, the best coolies on the planet. Our beer coolies are more than good looking, their utilitarian in design makes them perfect for those of you who just can’t keep yourselves together. Constantly losing your phone, keys, and cigarettes? Not anymore. We’ve all those friends who are all about their own happiness, not that there is anything wrong with that! In fact, this slightly hedonistic outlook on life is just what makes them SO. DAMN. FUN. 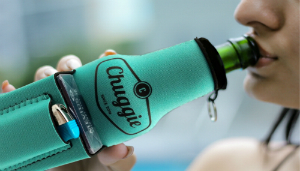 Chuggie Co.’s pocketed neoprene coolies are perfect for those friends who are always finding the best parties to crash and the best coolies to bring with them. Reactions from these wild kids range from mild to severe and are sure to impress. Our beer coolies are unique for their efficient design and those engineering types among us are more than happy to point this out. 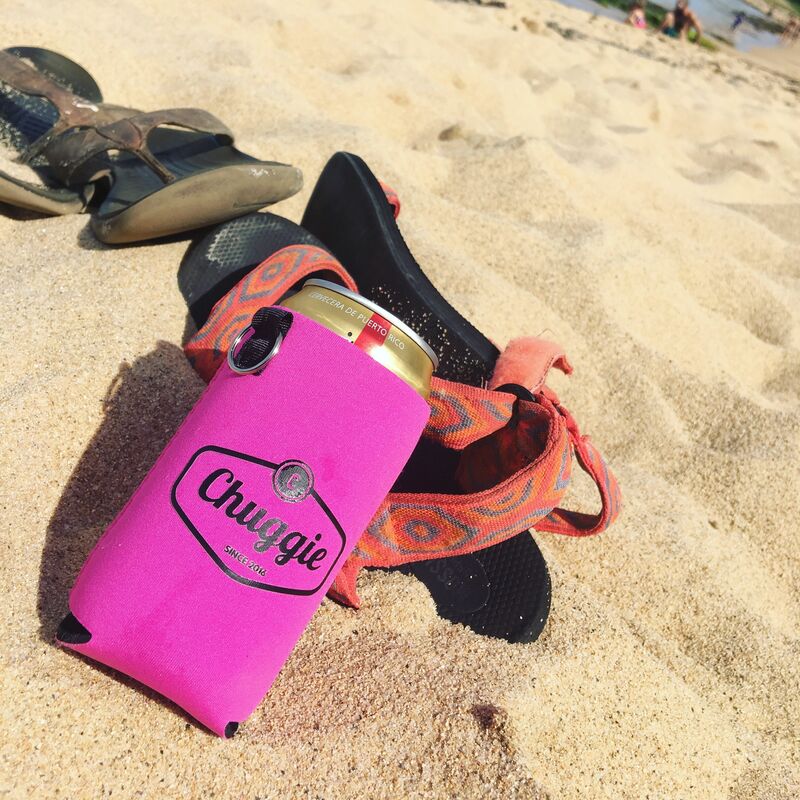 We know that a beer coolie with a pocket means less stuff to carry and more fun to be had. As the type of people who call it like it is, we can say that we’ve mustered all of our redneck brilliance to create these wonders of modern science. Tacky? Maybe. Habit forming? Probably. But, we’re not ashamed. We’ve heard the obvious judgments of our products already! Our beer coolies are made with your lifestyle in mind, and we are ready to get you out partying with your crew and showing off your excellent tastes. This is the last coolie you will ever need, it’s going to turn heads wherever you take it. We suggest getting your will in place because your family will fight over this when you’re dead. Wherever you are off to, people will have something to say about Chugie Co.’s creation. Whether their opinions are right or wrong doesn’t matter. You already have everything you need. Whether you’re looking for wholesale neoprene coolies to something special with a twist, a beer coolie purchase is a score for party-goers everywhere. Made of foam or neoprene, beer coolies are designed to keep your beverage chilled longer and your hands comfortably sweat free. A beer coolie is perfect for when you’re out by the campfire or listening to outdoor music with your friends. Styles are endless, from cute and quirky, to functional and comfortable, and we like to think our quality neoprene coolies are the best of all. Yet, there are hundreds of coolies to choose from, and if you’re about to make a purchase online, who is to say you’ll be happy with what you order once it arrives? 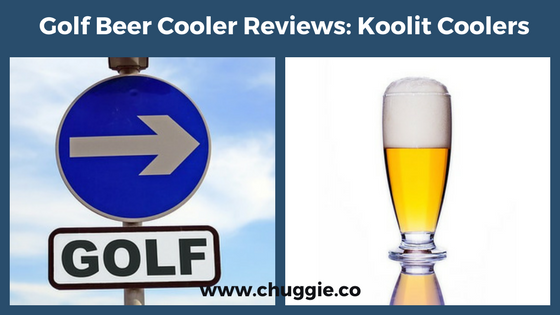 To break it down, we here at Chuggie Co., have got a quick explanation of your beer coolie options. Foam or Neoprene: What’s the Point? 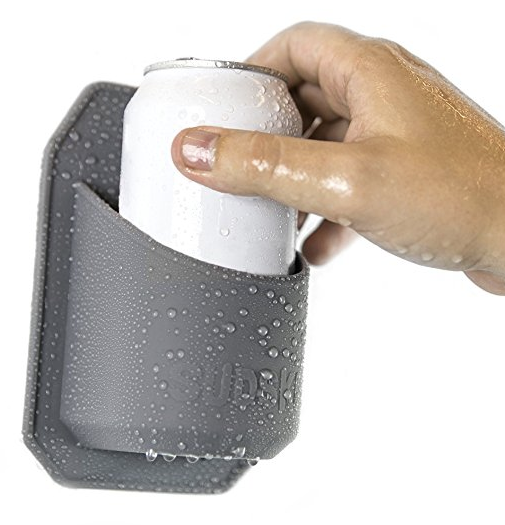 The purpose of a can coolie is having something to keep your beer cold and hands comfortable, so as long as your beer coolie can do that then all is well, right? We don’t think so. Coolies come in all shapes, sizes, and styles, some made for beer bottles alone, others are functional to a fault. We like to think that our wholesale neoprene coolies embrace function and form in all the right ways, but more on that later. • Foam Beer Coolies are the most ubiquitous coolies available. They’re cheap to make, often cheap to purchase, and usually come printed with cute, funny, and even raunchy sayings. When screen printer to please, foam beer coolies are great conversation starters, ranging from raunchy to political in hundreds of ways. The downside to these foam beer can coolies? While they are inexpensive, that is usually because they are cheaply made. They fall apart easily, especially if you have pets (or children) who like to chew the soft, squishy material. Foam beer coolies are also difficult to travel with, their shape being rigid and likely to break with bending. 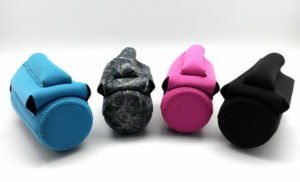 If traveling light is important to you, you may be more interested in a beer coolie of softer, more flexible material like our collapsible neoprene beer coolie. • Neoprene Beer Coolies are known for their ability to withstand damage easily. 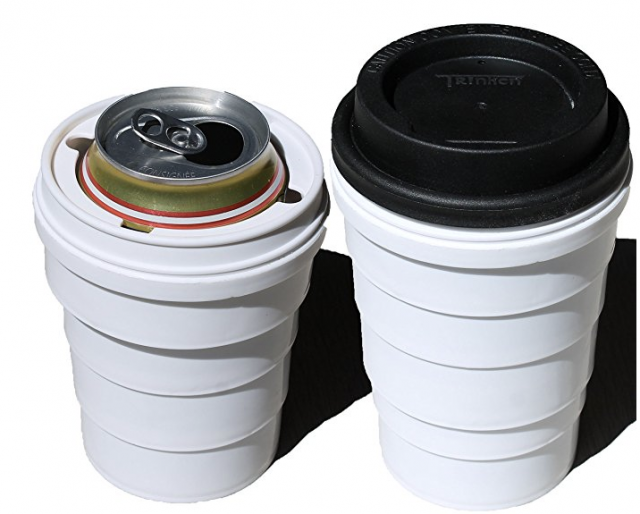 Neoprene is a durable yet soft material made to bend and flex while keeping your beverage cold. Neoprene comes in a variety of thicknesses but works best at about 3 mm in thickness. Any thinner and your beer may stay warm longer and any thicker and your wholesale neoprene coolies aren’t as conveniently collapsible. Neoprene coolies are often tall and zipped for convenient beer bottle storage or shorter and thin for everyday beer can use. 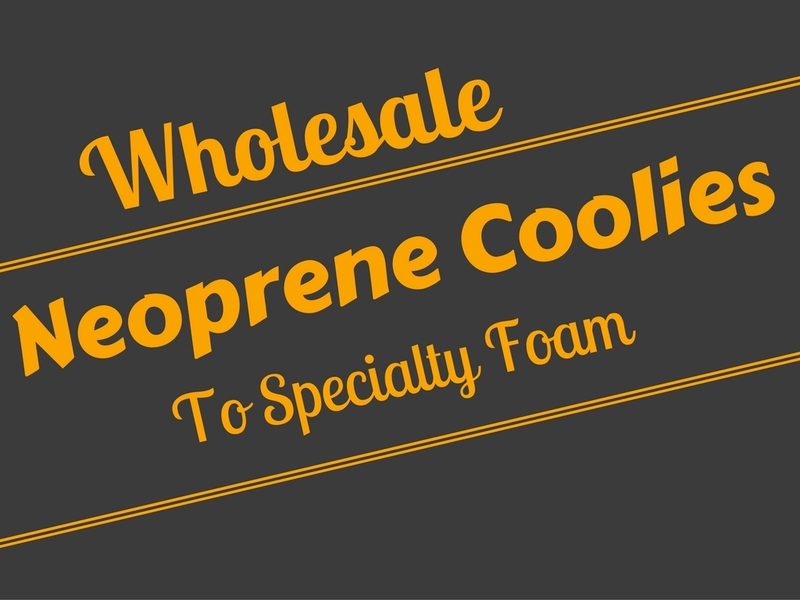 Neoprene coolies won’t rip apart like their foam counterparts and are much easier to pack and take around with you. When choosing your beer coolies, take a good look at online images of its quality, to make sure that you’re getting what you pay for. Stitching should be uniform and clean and thick enough to hold together the tough material. Our soft yet sturdy neoprene is 3 mm in thickness, making it easy to throw in your back pocket or purse before you head out to meet friends at an outdoor concert or the middle of nowhere. Never worry about having full hands again because our coolie comes with two pockets made to keep your cigarettes, lighter, lipstick, or phone perfectly safe and snug. 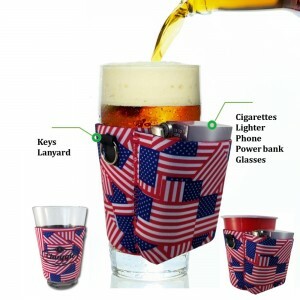 It keeps your hands comfortable while keeping your beer from getting far too warm when you aren’t in the mood to pound your drink. Yeah, we’ve heard that our product is a little bit trashy, we like to think that our beer can coolies are just resourceful. Oh, did we mention that our beer coolie comes in fantastic color options? Whether you want to stand out with our bright pink and blue colors or blend in with the black or camo option, you’ll still make quite a stir in the crowd. Our product is always a crowd favorite, so users beware: you’ll be letting all your friends know where they can buy their very own. If you are on the look-out for a gift, a well-made neoprene beer coolie is the perfect item for letting your friends know that you appreciate them and that it’s time to party. Your best friends are well-rounded, fun-loving people. Show them by that you appreciate that part of them by getting them top of the line beer coolies at a reasonable price from our shop. 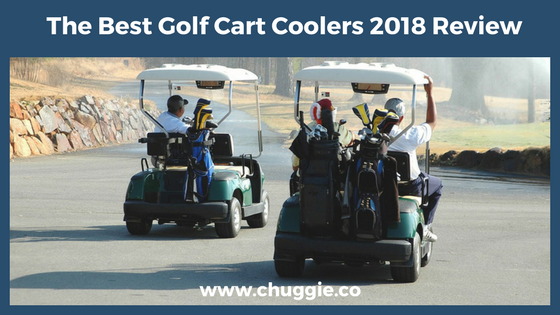 At Chuggie Co., while we keep our prices should cheap, we think that the quality of our wholesale neoprene coolies show-up the rest of the competition.